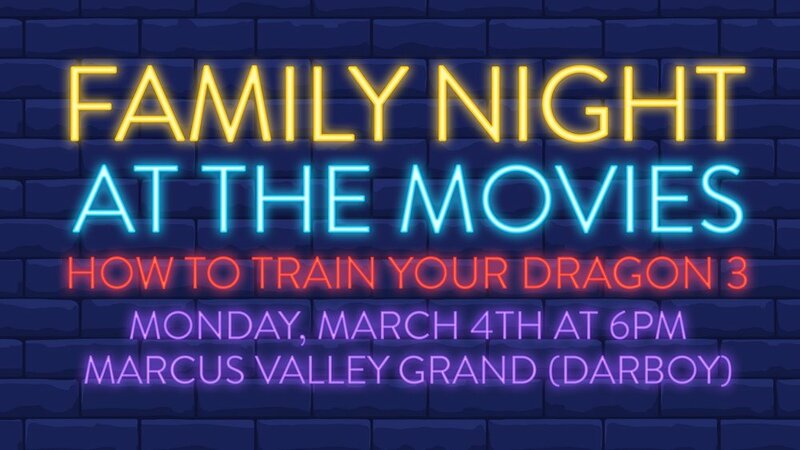 Join us for Family Night at the Movies on Monday, March 4, at 6PM as we watch How to Train Your Dragon 3. We have reserved a theater at Marcus Valley Grand Cinema in Darboy for a private showing of the movie. Tickets are only $6 per person but must be purchased in advance. Reserve your ticket(s) today as seating is limited!